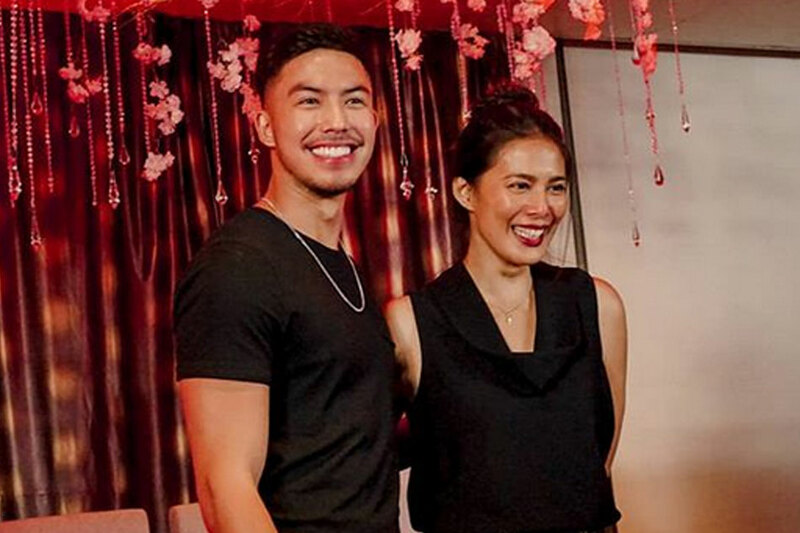 MANILA — Angel Aquino has revealed what it was like to have long, passionate kiss with young actor Tony Labrusca, her co-star in their upcoming movie "Glorious." "He kisses very well," the 45-year-old told ABS-CBN News' MJ Felipe on Thursday. "Kapag nga tinatanong ako, 'Oh kumusta si Tony? Oh my God, ang sarap sarap.' That's all I say because his kisses were really delicious. I'm not kidding." In "Glorious," Aquino plays a woman who falls for a much younger man portrayed by Labrusca. It tackles the common misconceptions about such relationships, mainly that it is rarely a genuine one. The movie's trailer went viral over the past week, mainly because it showed the two leads sharing a series of wild kisses. Asked about their onscreen liplock, Labrusca described Aquino as a "very pleasant" kisser and compared her to a strawberry shortcake.